There may still be an opportunity. You would have to contact the company directly. My contact is Ken Templeton, his email is ken.templeton@hydrogenXT.com. He can give you the latest information and investment information. I was wondering how your investment in the hydrogen XT company worked out? 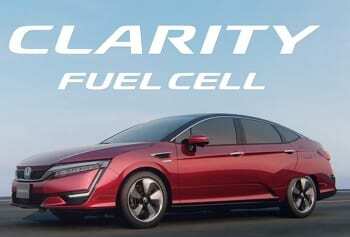 The Hydrogen economy seems to finally becoming a reality and I wondered how this company was doing? Also, is it to late to make an investment? Actually the investment is doing well. Hydrogen XT as a company is moving forward and you should start hearing big things from them throughout the rest of 2017. I will be posting another article on this in the next few weeks and will post a longer reply here as well at that time. In the meantime, stay tuned! Never would I thought FX Trading will come up with a topic about Hydrogen fuel. Is it not ironical I have been dabbling with HHO (Hydroxy) for almost a decade and with no success. My product didnâ€™t make it to the market without the funding. It is not easy to promote the green thing without the market and government supporting it. Guess what, your post has just stirred up my mind about the potential of FX investment of which is Greek to me, I will have to find time to start learning it somehow, and I think you can certainly help. Thank you! After getting a feel for the live trading drop me an email and we can chat on the phone or Skype. I can also step you through everything you need to do to participate in the FXSIGNALSLIVE automated mirror trading. Another excellent benefit of membership. Also, stay tuned because I am posting a new article tonight about the just announced partnership between iMarketsLive and Harmonic Traders. This will offer incredible educational opportunities. PS Send Ken from Hydrogen XT an email about you hydrogen product. You never know, they could have some ideas. Wow, my husband and I have just decided to take up learning about investing and Iâ€™m so glad we found your site. What Hydrogen XT Inc are doing as a company is really interesting and the video was helpful for us to gain a deeper understanding on their projects. Weâ€™ll be getting in touch with them to learn about investment opportunities. Can you also recommend other opportunities where we may inquire about being angel investors? Thanks so much! I will shortly be adding some book reviews to my site and plan on reviewing some great books on investment basics, so check back in the coming weeks for more information. 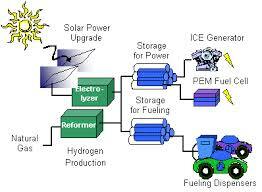 I do think Hydrogen XT Inc. has a really bright future and I think you will find their information very interesting. 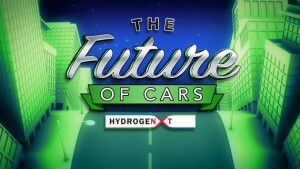 More and more of the automakers are moving towards Hydrogen so this is just the beginning. If you happen to live in the New York area, I think Hydrogen XT Inc. will have a booth at the New York auto show, so that would be a good place to learn more as well. I think this a great opportunity for anyone looking to invest there money. I can only see companies expanding in this sector so it may be a good time to invest in Hydrogen XT Inc.
Really great find and opportunity. Can I just ask what is the minimum amount that you can invest with them? I agree that Hydrogen XT is a great opportunity. This is why I was one of their earliest investors. The hydrogen economy is set to explode over the next decade. In Japan for example, they plan on making the 2020 Olympics be a showcase for the hydrogen economy. This will include hydrogen transportation for cars, buses and commercial vehicles and electricity generation to power businesses and homes. This will allow them to replace the big hole in their green energy plans left by the shutdown of their nuclear plants. I would suggest you contact Ken at Hydrogen XT, through the info@hydrogenxt.com email address. He has a who package of information they send out to interested investors and can let you know the minimums and so forth. He can also fill you in on all the latest developments. I am glad you found the article interesting. Let me know your thoughts moving forward. Very interesting website. I had no idea this type of trading existed. I am definetly interested in this. I have bookmarked your page and i will be revisiting it from time to time to learn more about this program. Overall presentation of the website was very professional. I enjoyed reading and learning about this topic. Great job. I am happy that you found my website to be very interesting. I strive to make the information both informative and enjoyable to read at the same time, which isn’t always easy. Since you are interested in the topic and have the site bookmarked, stay tuned for specific articles on different trading tools which I have started to work on developing. I plan on writing a whole series of articles on various trading indicators, methods and other trading tools. If you are on Google Plus, you can follow me there as I post and comment in the investing community. I can be found at Google Plus at https://plus.google.com/u/0/+XinZhangOnline/posts . If you have any additional questions, please feel free to leave them in the comments section.